Approximately 5000 years ago the first complex, politically centralized civilizations began to crystallize independently along a number of river valleys throughout the southern half of Asia and northern Africa . These civilizations constitute the next step in the organization and centralization of human economic, political, religious, and social institutions and practices. Why did the first complex, politically centralized civilizations materialize along rivers? Because rivers supplied a continuous if not always dependable flow and supply of water for farming and human consumption. These rivers along with climate, vegetation, geography, and topography shaped the development of the early river valley civilizations. However, while people of these civilizations were dependent on the rivers, the rivers also inspired new technological, economic, institutional, and organizational innovations and developments. Egypt's Old Kingdom (Dynasties 3–6, ca. 2649–2150 B.C.) 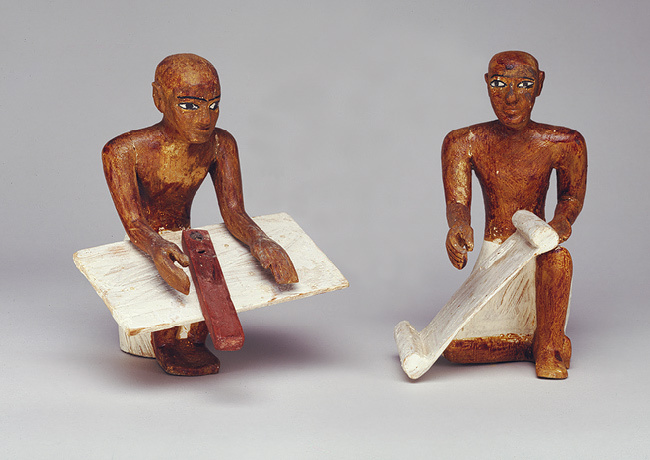 was one of the most dynamic periods in the development of Egyptian art. During this period, artists learned to express their culture's worldview, creating for the first time images and forms that endured for generations. Architects and masons mastered the techniques necessary to build monumental structures in stone. Sculptors created the earliest portraits of individuals and the first lifesize statues in wood, copper, and stone. They perfected the art of carving intricate relief decoration and, through keen observation of the natural world, produced detailed images of animals, plants, and even landscapes, recording the essential elements of their world for eternity in scenes painted and carved on the walls of temples and tombs. These images and structures had two principal functions: to ensure an ordered existence and to defeat death by preserving life into the next world. 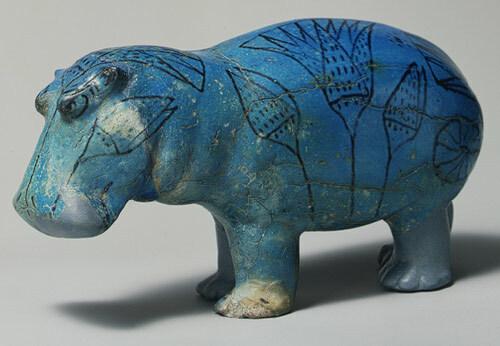 To these ends, over a period of time, Egyptian artists adopted a limited repertoire of standard types and established a formal artistic canon that would define Egyptian art for more than 3,000 years, while remaining flexible enough to allow for subtle variation and innovation. 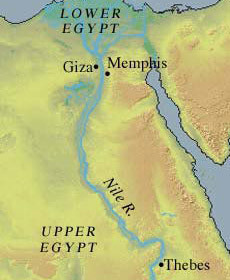 During Egypt's Old Kingdom, the pharaohs established a stable central government in the fertile Nile Valley. Perhaps the greatest testaments to their power were the pyramids and other tombs built to shelter them in the afterlife. 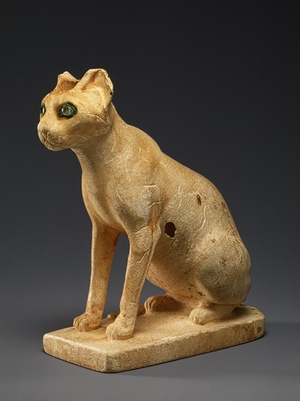 Some part of a dead pharaoh's spirit, called his ka, was believed to remain with his body. And it was thought that if the corpse did not have proper care, the former pharaoh would not be able to carry out his new duties as king of the dead. If this happened, the cycle would be broken and disaster would befall Egypt. To shelter and safeguard the part of a pharaoh's soul that remained with his corpse, Egyptians built massive tombs—but not always pyramids. Contrary to some popular depictions, the pyramid builders were not slaves or foreigners. Excavated skeletons show that they were Egyptians who lived in villages developed and overseen by the pharaoh's supervisors. The builders' villages boasted bakers, butchers, brewers, granaries, houses, cemeteries, and probably even some sorts of health-care facilities—there is evidence of laborers surviving crushed or amputated limbs. Bakeries excavated near the Great Pyramids could have produced thousands of loaves of bread every week. 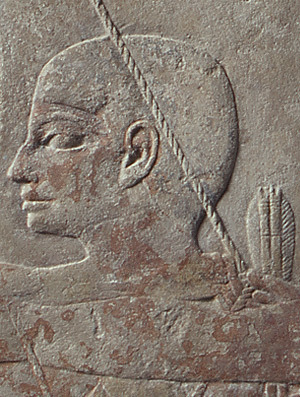 Graffiti indicates that at least some of these workers took pride in their work, calling their teams "Friends of Khufu," "Drunkards of Menkaure," and so on—names indicating allegiances to pharaohs. It took more than manual labor, though. Architects achieved an accurate pyramid shape by running ropes from the outer corners up to the planned summit, to make sure the stones were positioned correctly. And priests-astronomers helped choose the pyramids' sites and orientations, so that they would be on the appropriate axis in relation to sacred constellations. The Middle Kingdom (mid-Dynasty 11–Dynasty 13, ca. 2030–1640 B.C.) began when Nebhepetre Mentuhotep II reunited Upper and Lower Egypt, setting the stage for a second great flowering of Egyptian culture. Thebes came into prominence for the first time, serving as capital and artistic center during Dynasty 11. The outstanding monument of this dynasty was Mentuhotep's mortuary complex, loosely modeled on the funerary monuments of his Theban ancestors. Built on a grand scale against the spectacular sheer cliffs of western Thebes, Mentuhotep's complex centered on a terraced temple with pillared porticoes. The masterful design, representing a perfect union of architecture and landscape unique for its time, included painted reliefs of ceremonial scenes and hieroglyphic texts. Carved in a distinctive Theban style also seen in the tombs of Mentuhotep's officials, these now-fragmentary reliefs are among the finest ever produced in Egypt.